This is an excerpt from piece titled “Nanny,” part of an in-progess collection of stories about California. The black Corvette was parked inside the Greens’ three-car garage, and I was curved into the front passenger seat. I’d never been in a Corvette before, and Michael Green knew it. He paused before turning the key in the ignition, as though this quiet moment before I would feel the deep rumble of his sports car through the lower half of my teenage body was sacred. The automatic garage door was still closed, secreting us inside. Michael’s wife and his three daughters had already left in the other car for the high school play they’d invited me to. I was driving with Michael because there weren’t enough seats in the other car. I was their nanny. “Hot machine, isn’t it?” Michael said, leaning across the front seat to give the caramel leather that wraps the dashboard a slow stroke. “How fast do you think she goes?” he asked, looking at me. The Corvette was tiny inside; we were only a few inches from each other. It smelled like a faint whiff of cigar and a thicker cloud of cologne. In the low bucket seat I was half reclining. I had no idea how fast the Corvette goes, but I was beginning to wonder how many minutes’ behind we were and what Sharon and the girls were going to think was holding us up. “I don’t know?” I asked, smiling nervously. I wasn’t afraid, I reminded myself. Not that afraid, anyway. 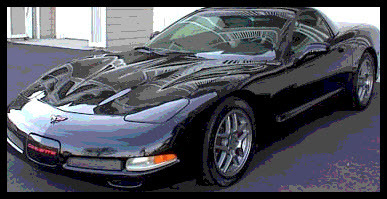 What could Michael Green do in a tiny Corvette while his wife and three girls were waiting for us at a Christmas pageant? “You’re about to find out,” Michael said softly. “Should we have some champagne before we go?” he asked. And then he laid his hand on my stockinged knee. I should have seen it coming, really I should have. The past four months had been building to this, a romance that had gone from crush to obsession and was now, suddenly, spinning wildly out of control. I didn’t care a thing for Michael. I didn’t want to be alone in that car with him, a father of three kids who was more than twice my age. He had never made an overt move on me before, and I had no romantic interest in him at all. I was in love with the Greens, with being their babysitter. I was in love with what they had become to me since I started working for them. I wasn’t ready for it to end. I would do anything to continue my romance with the Greens, despite the signs. Like an affair just passing its due date, I had already begun to feel the sour hint of disillusionment with my employers. Things that once seemed rosy began to seem odd and would soon seem dysfunctional. It wouldn’t be long before I would begin to behave as a scorned lover does. Soon I would become the lover who fell short, the partner who didn’t give the relationship 100 percent. Soon I would see what it felt like to slink quietly away, head hanging low, both relieved to be gone and mortified at my behavior. But then, in that garage, I still wanted them. I couldn’t lose them, I thought. I needed them so badly I would have to sit there in that Corvette, in the Greens’ two-car suburban garage, and try not to squirm too much.